Holy crap, it's hot outside. And I thought taking pictures in the winter was bad.. Anyways, in heat like this, it is all about keeping it simple. So I went with a circle skirt. (Seriously I don't think you can go wrong with a circle skirt, ever.) 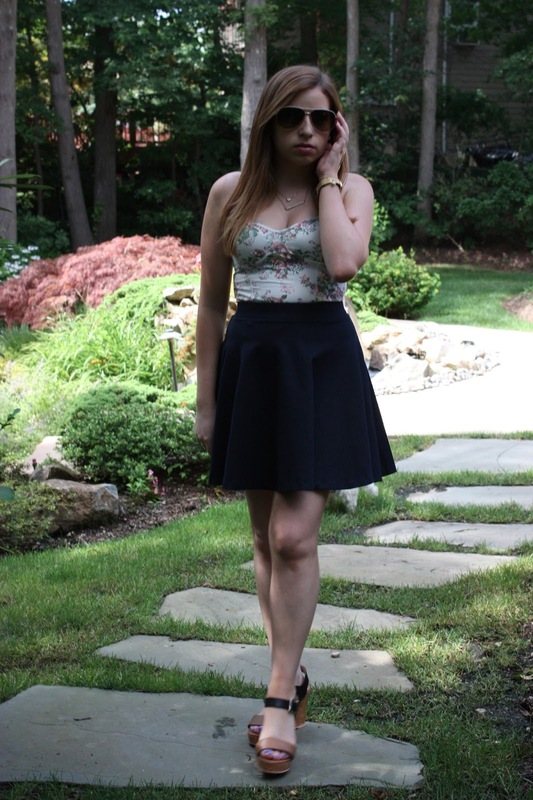 I wore it with this cute floral Aritzia bustier, which I love for both layering and for wearing it by itself. My new Ted Baker wedges rounded off the outfit, and of course no summer outfit is complete without some sunglasses. P.S. How adorable is Harley?